In the 11th century the Knights of Malta, known then as ‘Knights Hospitaller’, established a hospital in Jerusalem to care for pilgrims of any religious faith or race. The work of the hospitallers grew in fame and in 1113 Pope Paschal II officially recognised the monastic community as a lay religious order. The Pope identified the Hospitaller Gerard as the Order’s founder, together with an established group of monks – the ‘Professed’ – who are still at the heart of the Order of Malta today. Throughout the centuries the number of members coming from all over Europe continued to grow and contributed to the strengthening of the Order during its presence in Rhodes (1310-1522) and in Malta (1530-1798). While members of the Order of Malta in former times traditionally belonged to the aristocracy, the emphasis today is on a nobility of spirit and conduct. 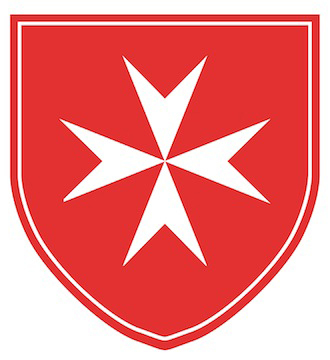 The 13,500 Knights and Dames of the Order of Malta remain true to its inspiring principles, summarised in the motto “Tuitio Fidei et Obsequium Pauperum” – nurturing, witnessing and protecting the faith and serving the poor and the sick – which become reality through humanitarian projects and social assistance in 120 countries. Members must demonstrate dedication to these principles and are admitted country-by-country through Priories and national Associations. According to the Constitution, the members of the Order of Malta are divided into three Classes. The members are to conduct their lives in an exemplary manner in conformity with the teachings and precepts of the Catholic Church and to devote themselves to the assistance activities of the Order. Members of the First Class are Knights of Justice, or Professed Knights, and the Professed Conventual Chaplains, who have made vows of “poverty, chastity and obedience aspiring to perfection according to the Gospel”. They are religious according to Canon Law but are not obliged to live in community.